We believe that when governments and civil societies work together to welcome refugees, we all benefit. I am delighted that our collective efforts are resulting in the development of new community sponsorship programs around the world. 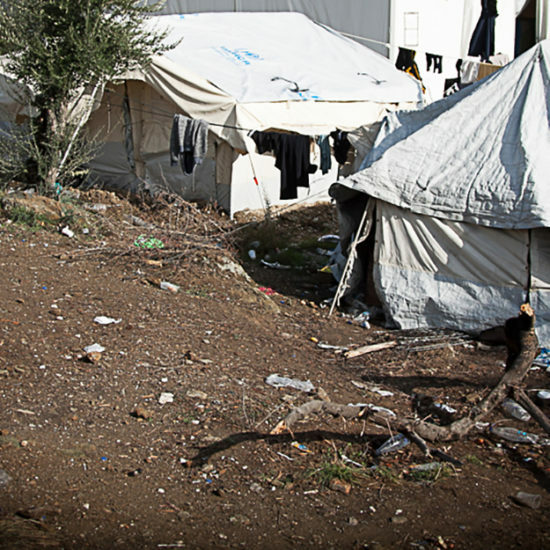 Together, we can increase the number of resettlement spaces globally and help more refugees. Canada has a long history of welcoming refugees. Decades before it became a nation in 1867, waves of newcomers escaping persecution in their native lands came to Canada to make a fresh start. This tradition continues today. In 2016, Canada accepted over 46,000 refugees from abroad, making it one of the leading resettlement countries in the world. A major component of Canada’s resettlement commitment is the Private Sponsorship of Refugees Program (PSRP). This novel approach to resettlement is based on a bold alliance between government and civil society. Community groups and ordinary people across Canada have sponsored more than 300,000 refugees from all over the world since the program’s inception forty years ago. It all started in the 1970’s. The Immigration Act of 1976 laid out the structure of Canada’s refugee programs, including the establishment of a private sponsorship system. The new legislation invited civil society to take an active role in “upholding Canada’s humanitarian tradition by welcoming refugees”. The timing was propitious. After the fall of Saigon in 1975, over two million people fled Indochina and sought asylum in nearby countries. Many made this perilous journey by sea, in small, overcrowded boats. Responding to a groundswell of public concern for these “boat people”, the Canadian government pledged to sponsor one refugee for each refugee supported directly by the Canadian public. Towns and cities across the country took up the challenge. By 1980 some 70,000 refugees had arrived from Indochina. And community sponsorship had become a permanent fixture of Canada’s immigration strategy. 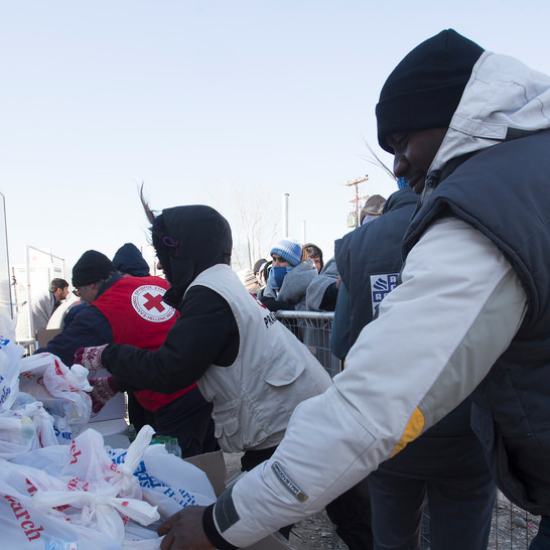 Over the next few decades, Canadians continued to open their hearts and their communities to refugees from all over the world, sponsoring people fleeing from countries in crisis – Kosovo, Bhutan, Iraq, Eritrea, and, more recently, Syria. In recognition of their exceptional generosity, in 1986 the UNHCR gave its annual Nansen Refugee Award to the people of Canada, the only time this honour has been bestowed on an entire nation. In Canada, once a group of citizens or permanent residents has decided to sponsor a refugee into the community, they must sign an agreement with the Government of Canada pledging to provide material, social and emotional support to a refugee family for twelve months after their arrival. Sponsors can obtain guidance from the Refugee Sponsorship Training Program, a Toronto-based NGO funded by IRCC. The training is free of charge and includes workshops, lectures, webinars, fact sheets and e-training. Privately sponsored refugees are admitted to Canada in addition to the refugees sponsored by the Government of Canada. So community-based sponsors are making a real difference by resettling a refugee that would otherwise be left in a dangerous and vulnerable position overseas. All refugees resettled from abroad are granted permanent residence upon arrival in Canada. They become eligible for Canadian citizenship after three years of residence. The Canadian Multiculturalism Act fosters recognition and appreciation of the diverse cultures of society and ensures that all individuals receive equal treatment and equal protection under the law. Private sponsorship offers many advantages. Sponsors help create strong support networks for newly-arrived refugees. Dedicated and personalized assistance allows refugees to adapt more quickly to their new environment, to find jobs and further their education. Privately-sponsored refugees have demonstrated stronger settlement and integration outcomes than government-sponsored refugees in the early years after their arrival. Private sponsorship also reinforces ties within the community. It brings people together in a common cause. The experience of helping a refugee family is often so positive and transformative that many groups sign up to sponsor over and over. Many of the Indochinese refugees who were welcomed to Canada so enthusiastically four decades ago have themselves become sponsors. Paying it forward. A recent survey concluded that about two million Canadians have taken an active part in the PSRP since it began. Finally, community sponsorship bolsters public support for resettlement and immigration in general, and enables Canada to protect a greater number of refugees. Canada believes its private sponsorship program can serve as a model to other countries interested in exploring new ways of welcoming refugees. In 2016 the Canadian government teamed up with the UNHCR, the Open Society Foundations, the Giustra Foundation and the University of Ottawa Refugee Hub to create the Global Refugee Sponsorship Initiative (GRSI). GRSI nurtures partnerships among all levels of government and society in resettlement countries that are considering setting up their own community sponsorship system. Through outreach visits and study tours, GRSI helps potential champions of community sponsorship work together to design, build, operate and evaluate their own programs, taking into account the unique social and political dynamics of each country. GRSI has also created a suite of learning tools on community sponsorship. Videos, fact sheets, a monthly newsletter, press releases, and a 200-page guidebook are available on the GRSI website in five languages (English, French, Spanish, Portuguese and, soon, German). 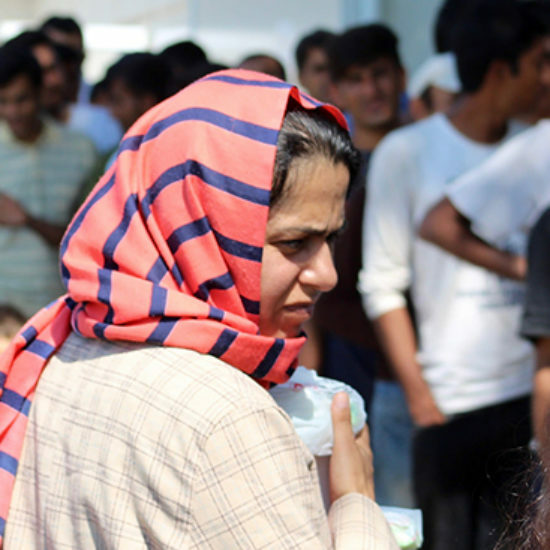 New Zealand is piloting a Community Organisation Refugee Sponsorship category (CORS). Ireland will soon inaugurate Community Sponsorship Ireland. Argentina is converting its humanitarian visa system into a full-fledged community sponsorship program. Germany is consulting stakeholders on a proposed pilot project for 2019. Spain intends to build a community sponsorship system in cooperation with the Basque regional government. The United Kingdom has moved into the third year of its Community Sponsorship Scheme. Many other countries have expressed interest in Canada’s model and are seeking GRSI’s advice. On July 16, 2018, the immigration ministers of six countries – Canada, the UK, Ireland, Argentina, Spain and New Zealand – issued a joint statement promoting community sponsorship worldwide. And the UNHCR is putting the final touches on the Global Compact on Refugees, a document that points to community sponsorship as a new way to boost the number of resettlement spaces available to refugees. As community-based refugee sponsorship takes root internationally, Canada is keen to learn from other countries, as they experiment with new ways of welcoming refugees and hone their resettlement expertise. Canada has shown that community involvement in refugee resettlement works. Not only has the Private Sponsorship of Refugees Program saved thousands of lives, it has also enriched the fabric of Canadian society in countless ways. Fraser Valentine is the Director General of Refugee Affairs at Immigration, Refugees and Citizenship Canada. In this role, Fraser is responsible for leading the Department’s refugee and asylum policy agenda. Refugee Affairs develops policies and designs programs for the resettlement of refugees from abroad and implements these programs through a network of domestic and international partnerships, as well as develops policies and programs associated with Canada’s refugee determination system. Further, the Branch works with other countries around the world to share Canada’s experience with refugee programming in order to grow the number and quality of global protection spaces. From 2015-2017, Fraser was the Director General of Strategic Policy and Planning at Immigration, Refugees and Citizenship Canada. In this role, Fraser was responsible for leading the Department’s strategic policy agenda. As well, Fraser was the lead for the Department’s annual immigration levels planning exercise, as well as the policy lead for the Express Entry system. From 2011-2015, Fraser was the Chief of Staff to two different Deputy Ministers at Immigration, Refugees and Citizenship Canada. As a federal public servant, Fraser has also worked at the Privy Council Office, Employment and Social Development Canada, and Indigenous and Northern Affairs Canada.